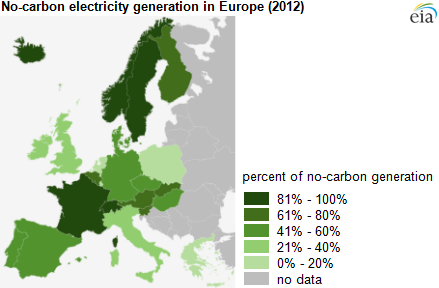 Countries of Europe are increasing electricity generation using no-carbon sources. According to the US Energy Information Administration, Iceland is at the top of the list of no-carbon electricity generation countries in Europe. 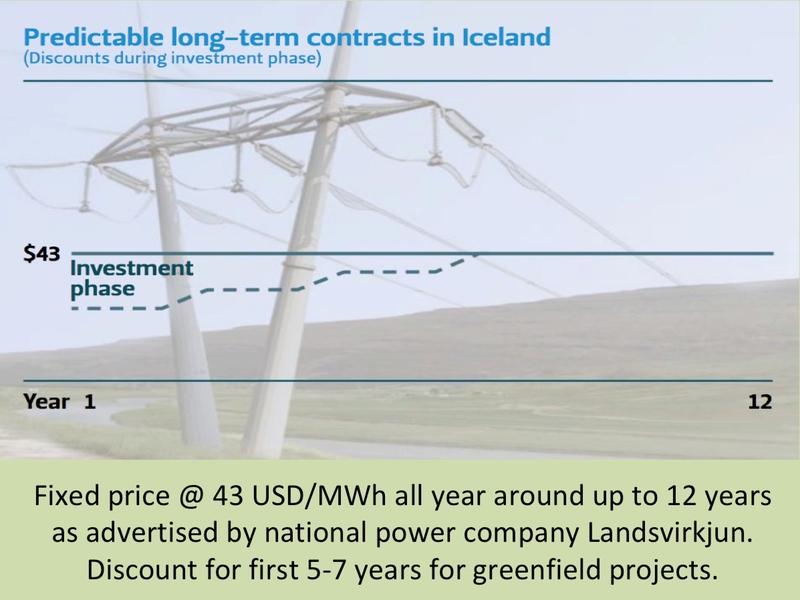 Electricity generation in Iceland is 100% from no-carbon hydro- and geothermal power sources, and the country is completely self-sufficient in electricity supply. Only France, Iceland, Norway, Sweden, and Switzerland generate more than 90% of their net electricity from no-carbon sources (data from 2012). Only in Iceland and Norway this number of no-carbon electricity sources was 100%. Eight other countries had no-carbon electricity accounting for at least 50% of their generation. Countries in Europe generate most of their no-carbon electricity from nuclear and hydroelectric sources, along with a smaller portfolio of other renewables. No-carbon sources generate power while releasing virtually no carbon dioxide emissions. This includes geothermal, hydroelectric, nuclear, solar (both utility scale and distributed solar), tidal, and wind generation (although biomass power plants emit carbon dioxide during operation, the full life cycle of biomass fuels is often considered to be carbon neutral for the purposes of satisfying these countries’ goals). Penetration rates of no-carbon generation have increased from 50% to 56% in recent years in Europe, as European Union countries (EU) work toward renewable energy and greenhouse gas emissions targets. The share of no-carbon generation in European countries is expected to continue to increase, as the EU’s 2020 Climate and Energy Package targets both a decrease in greenhouse gas emissions and an increase in the share of energy consumption generated from renewable sources. Main source: US Energy Information Administration.